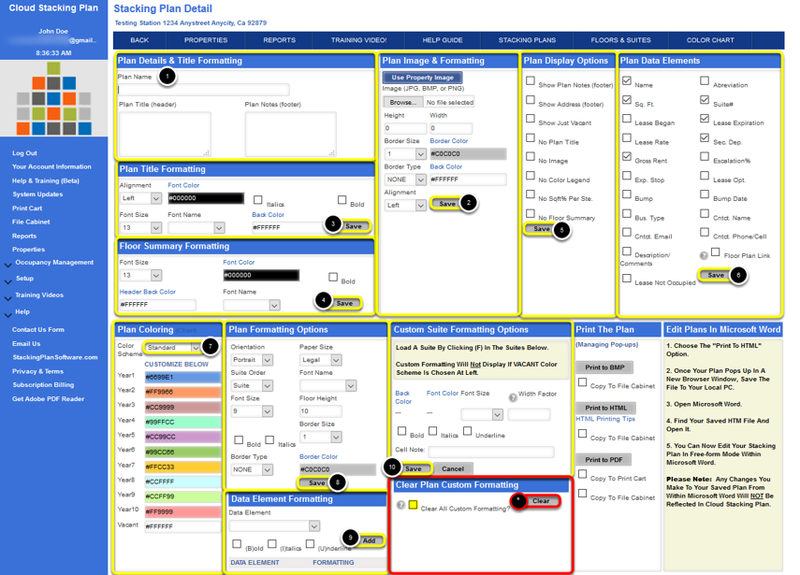 On the Stacking Plan Detail Page you have a number of components available to you to customize and edit the output of your Stacking Plan. Your stacking plan is created per the information you have entered in floors and suites. Formatting options allow you to include/exclude fields, change colors, font-size, etc. Within the stacking plan itself, you will see 2 links per cell. One is labeled F and one is labeled D.
F - this link enables you to edit the formatting options for just this cell. 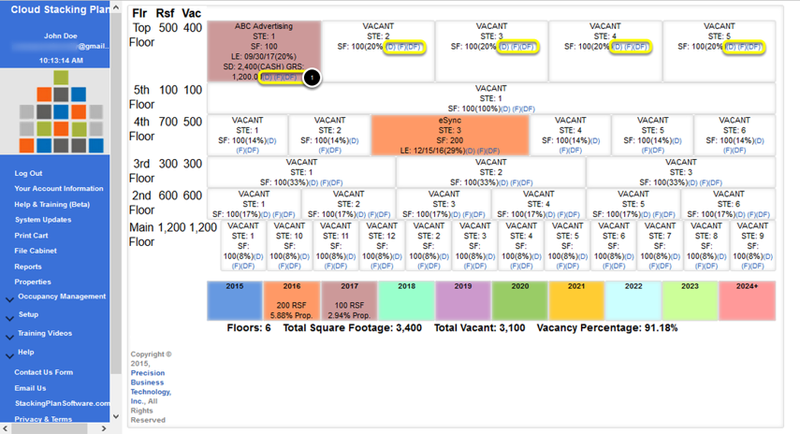 Click the link and you will see the cell information populate in the area for custom suite formatting. Edit the settings, then press SAVE. D - this link will redirect you to the suite detail of this suite, where you can edit information about this suite. Please note: These 2 links are not included on the stacking plan when it is printed. Within the stacking plan itself, you will see 3 links per cell. DF - this link enables you to Delete Formatting of Custom Suite Formatting Options for just this cell. Please Note: These 3 links are not included on the stacking plan when it is printed.